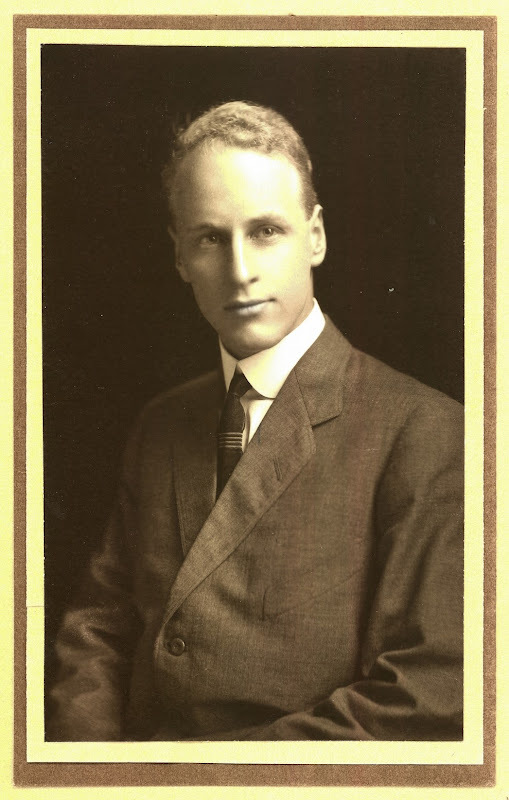 It was the best and worst of times for the two men; for 21 year-old Hilliard Comstock, 1912 brought memorable and happy days – but for his friend and mentor, James Wyatt Oates it was a year of retreat and sorrow as the health of his beloved wife, Mattie, slowly faded away. The previous item covered the decline of the Oates', where it was noted the couple completely disappeared from any mention in the papers after July. Never before had that happened; even when they were away from Santa Rosa, there were always society column tidbits about who they were visiting, when they would be home, or such. The latest on Mattie's heart condition was reported obsessively until the blackout began. And what else happened that month? Hilliard Comstock became an attorney. Hilliard – or "Hillyard" "Oomstock" as the local newspapers hilariously misspelled his name in separate errors – began reading law with Oates in 1909 and passed the bar examination on his first attempt. Not bad for a guy who had never set foot in any sort of classroom. Before the end of July it was announced Hilliard would be practicing law from Oates' office in the Santa Rosa Bank building (now better known as the Empire building). They weren't yet partners; "Oates & Comstock" would not be painted on the windows for a couple of years. Then only a few days after that, he made his first appearance in the Superior Court as an associate of Oates' in a small damages case against the Southern Pacific railroad. It is surely no coincidence that the Oates' vanished from public exactly the same week Hilliard stepped on stage. Having his protégé available to "mind the store" freed Wyatt to do whatever he wanted, which was likely nothing more than just staying at home by Mattie's bedside (hopefully not smoking his usual cigars). Passing the bar and launching his legal career would be enough to keep most people busy, but also that July he was elected second lieutenant in the National Guard. Shortly after that first appearance in court Hilliard joined the rest of the local company in two weeks of maneuvers with Army troops in the Central Valley, so maybe Oates hung around his downtown office for a few weeks after all. National Guard Company E was as much a boy's club as it was a militia, and the last sighting of Hilliard in 1912 is of him helping organize a blowout New Year's Day party. But his most notable social event that year was meeting future wife Helen at a barn dance. In her oral history, she recalled Hilliard always said he asked to dance with the pretty little girl who had "red cheeks and curls up on top of her head." According to him, 13 year-old Helen stuck a finger in her mouth and replied, "I don't rag, thank you." Helen said she didn't remember that, but Hilliard would laugh and swear it was true. Hillyard Comstock, one of the well known residents of Santa Rosa, took the bar examination before the Appellate Court at Sacramento on Monday, and successfully passed the ordeal. He will begin the practice of law in this city in the near future. Mr. Comstock's many friends are glad to know of his success. Hilliard Comstock, who was recently admitted to practice law, has opened a law office in the Santa Rosa Bank building and is ready to attend to all matters in the courts of the county and State. He has his office in the same suite as Colonel James W. Oates. Mr. Comstock has a great many friends who wish him every success in the practice of his profession. Colonel D. A. Smith, commanding the Fifth Regiment Infantry and Major L. C. Francis of the Third Battalion, Fifth Infantry, N. G. C. were visitors here over Monday night when Company E, which is a part of the third battalion of the Fifth Regiment, elected Hilliard Comstock as second lieutenant, thus completing its roll of officers, following the recent resignation of captain and lieutenant. Mr. Comstock was only elected after five ballots had been taken and then by a majority of one vote. While the contest was close no feeling has been engendered and all will unite in giving the three new officers the support which goes to make a strong company. Following the election Mr. Comstock underwent his examination for the position at the hands of the visiting officers and made a very creditable showing. With the others he will now take the physical examination, and it is probable all three commissions will arrive at the same time prior to the Company leaving for camp. Hilliard Comstock, attorney-at-law, made his first appearance in the Superior Court on Saturday, being associated with Colonel J. W. Oates as counsel for the plaintiff in the suit of George M. Root against the Southern Pacific Company. The plaintiff sues to recover property upon which the railroad entered in the L. J. Nolan addition to Santa Rosa, for $500 damages and for $250 for loss of rents and profits and for other relief. New Year's Day will be a jolly one for the members of Company E. N. G. C. of this city. "Open House" is to be kept for the members from four o'clock in the afternoon until 12 midnight. There will be some big "eats" too, for the soldier boys. The viands will include roast turkey, mince pie, plum pudding, cake, etc. In between the feasting Lieutenant Hilliard Comstock, who is much interested in indoor baseball, says there will be baseball and pool, billiards, etc. for the entertainment of the members. Captain Edward Walden Beatty and Lieutenant Leland Britton and Lieutenant Comstock, and the non-commissioned officers will be on hand to assist in giving every one a good time. Corporal R. L. Hunt will be master of ceremonies.